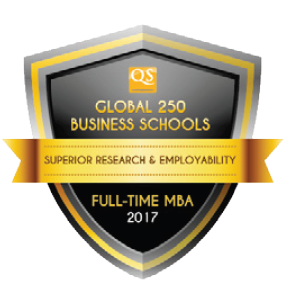 SBS Swiss Business School is delighted to announce our inclusion in the QS Global 250; we have been ranked as a Superior Business School for Research and Employability in the QS Global 250 Business Schools Report 2017. We are proud to be recognized as belonging to the top 250 Global Business Schools for Employability and Research and would like to take this moment to celebrate this momentous milestone with you. Thank you for being part of SBS Swiss Business School and our continued success.